How much laughter will there be when one stage is shared by comedians like Stephen K. Amos (UK), Mattias Naan, Tigran Gevorkjan, Henrik Kalmet, Tõnis Niinemets, Gaute Kivistik, Kristel Aaslaid, Kaarel Nõmmik, Artur Chaparyan (RU), Kait Kall and Keith Farnan (IE). No-one knows for sure but it may be dangerously much. 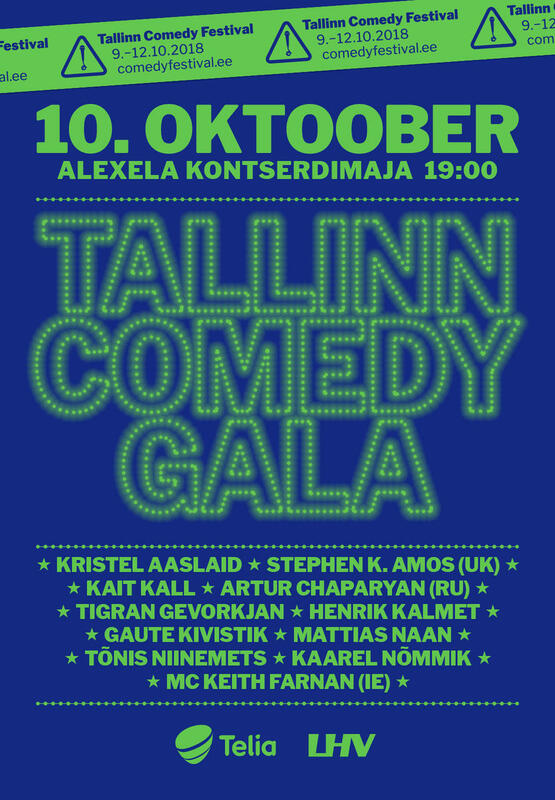 Tallinn Comedy Gala is a special occasion as organizers Kinoteater and Komeediklubi have selected their favourites to perform their best material on this very special night. The show is almost entirely in Estonian but visitors are welcome to enjoy the three English-language acts and/or the incomprehensible beauty of Estonian language. Wednesday, October 10th, 19.00 @ Alexela Concert Hall.